I stopped by the new Neighborhood / WTAPS store (called HOODS Hong Kong) on Saturday night. Before the shop officially opens on April first, they’re holding an exhibition in the space. The entranceway, which is constructed of wood, makes you feel like you’re walking into someplace under construction. Entering through the side, rather than the front, it opens up into a corridor. Neighborhood is the latest of several high-profile Japanese street wear brands to set up shop in Hong Kong. They bring with them the techniques they pioneered on the streets of Tokyo. HOODS Hong Kong offers an interesting case study. Tokyo street wear stores are notoriously masterful at tapping the excitement of discovery that one gets when walking through a side-street and finding something hidden. The Hoods store, with it’s low-key location on On Lan street and false facade, succeeds in making you feel like you’re in on a secret. As you enter the ground floor of the space, there are several paragraphs on the wall. These include a description of the history of the two brands as well as information about the designers (Shinsuke Takizawa of Neighborhood and Tetsu Nishiyama of WTAPS.) A preface by T.K. of Silly Thing / Milk Magazine also appears. Against the opposite wall are three neon arrows that say ‘Death From Above’. This type of slogan is in keeping with the military imagery that Neighborhood has been influenced by. The backdrop is a photo of paratroopers descending. Walking up the staircase to the second floor, you see a whole wall covered in black and white illustrations, stickers, and posters. Located against another wall and on several racks inside is the exhibition: a special collection of t-shirts that represent the designers’ philosophies. The first area belongs to Neighborhood. On the rack are a collection of t-shirts packaged in thin vacuum sealed containers. After a brief look they appear more like time-capsules, rather than regular garment bags. 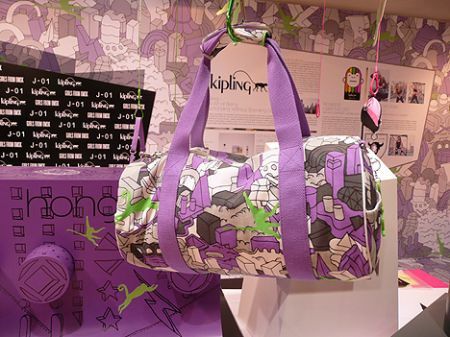 The contents of each bag are individually fitted with a unique collection of stickers, patches, cds, drawings, money and other assorted collectibles. It’s as if you stumbled upon a bag of a teenage-rebel’s prized possessions. The iconography includes punk band artwork and motorcycle company imagery, as do the t-shirts. Here the designer is providing the consumer with the context and culture from which the line was created. It’s an interesting concept and works on several levels. Not only is it for style, but it also adds value, and transcends simply selling a t-shirt. In a time when designer shirts are frequently knocked-off and forged, a pack like this both distinguishes and authenticates the purchase. From a design standpoint, the complex look created by packaging a shirt with all of these knickknacks has the appearance of a heavily textured collage, or perhaps the bathroom wall in an ancient Punk club. It’s as if within the bag you can discover layers of culture. The approach is a cool concept well executed by Neighborhood. The WTAPS collection on racks further inside the store conveys an interesting message as well. Through a series of metal signs hanging on the exposed brick wall, the brand was communicating slogans meant to champion individualism and free expression. The largest sign was a creative statement with historical roots. To briefly summarize, it mentioned a kind of traditional Japanese artisan who has a philosophy of looking at things, not for what they are not, but for what they are. For example, they don’t view a curved piece of wood as not suitable for a plank. Rather, they’ll look at a curved piece of wood as having a special purpose, for say, making a handle. On display were shirts with this design treatise and others with similar messages. As I arrived at the shop several other groups entered the store and proceeded directly up to the second floor without bothering to look at the statements from the designers about their brands. In people’s rush to consume, they don’t understand the culture, which is why an exhibition like this – which attempts to translate their design philosophy or communicate what the brand stands for, is important. 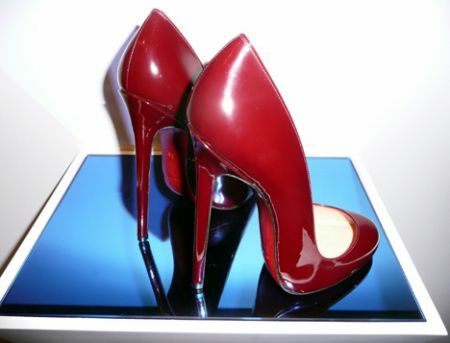 Well-heeled flock to Louboutin FETISH! 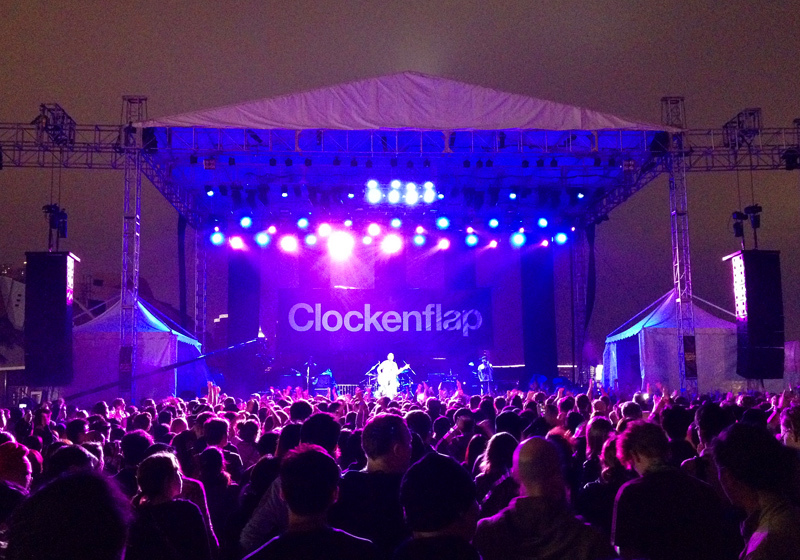 Top 5 Tips for Clockenflap!